Steve Bannon may be able to do much more for President Trump from outside the White House than inside. There are a lot of former network talking heads, especially from Fox, who are unemployed. Steve Bannon may be just the guy they are looking for. Bannon is considering starting up his own news channel. He has the backing and support to pull it off successfully, and may now have a core of household names to build his team around. Although his influence with the president waxed and waned, Bannon’s standing in the Trump circle was always precarious. Among the senior advisers competing with Bannon in trying to shape Trump’s agenda, and his tone, were the president’s daughter, Ivanka, and son-in-law, Jared. 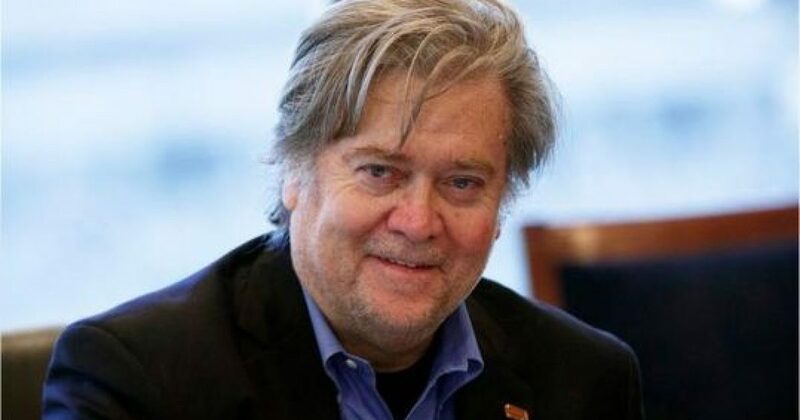 Bannon pointedly voiced criticism of those in the president’s sphere whom he considered to be globalists, or liberals (or both), and the president himself plainly bristled over the early attention that Bannon got from the press (including a Time magazine cover, which is said to have particularly irked Trump). Bannon may have resigned, but it was clear from the time that Kelly became chief of staff that Bannon’s remaining time in the West Wing was going to be short. Kelly undertook a study of the West Wing’s operating system, and let it be known that he kept hearing about Bannon as a disruptive force and a source of leaks aimed at undermining his rivals. One of those, with whom Kelly is deeply in sympathy, is National Security Adviser H. R. McMaster, who clashed forcefully with Bannon over such policies as strategy for the war in Afghanistan. It is plainly Bannon’s view that his departure is not a defeat for him personally, but for the ideology he’d urged upon the president, as reflected in Trump’s provocative inaugural address—in which he spoke of self-dealing Washington politicians, and their policies that led to the shuttered factories and broken lives of what he called “American carnage.” Bannon co-authored that speech (and privately complained that it had been toned down by West Wing moderates like Ivanka and Jared).